Using the Cloud PBX with PSTN as part of the of Skype for Business Preview has been great the first 48 hours of the program. As many know, this is something something I have been wanting for a long time. That being said there are definitely some pros and cons in the first wave of the preview, some of which such as E911 are to be expected and others like Auto Attendant are disappointing. Starting with the bad since I know for sure at least one U.S. In a future build. Voicemail, currently this is unavailable which can be frustrating. One of the suggestions for being a preview tester is to use this as your daily phone. As a result I would like to transfer my current PBX desk phone to my Skyoe number but with no voicemail that isn't an option unless I want to manage that every time I get up. I am going to see if I could use simulring with the production PBX and get the timing right in order to leverage existing voicemail but still leverage Skype to take all the calls. One of the most used features of the PBX is the IVR or Auto Attendent. In this first wave release we do not have access to any of these functions. I haven't been able to find anything that says of this will ever be available but in the Tech Preview slide show they mention it as not available in this release which allows me to believe it will be in later releases. That function being missing basically only allows you to test basic call quality and functions. Personally this is one of the features I wanted to look at from an evaluation perspective. On to the good, everything else! The call quality is what you would expect, great. Just like your typical Skype or traditional PSTN, I didn't have any latency or crackling that you can sometimes get with VoiP calls. Now I have made calls from a 100Mbps fiber, Comcast Home, and while using my phone as a 4G hotspot. To me that is good news, that any solid connection can handle the call with the same level of quality. The same level of quality could be said when making calls via the Lync 2013 iPhone client. Wether on a Meraki Wireless AC AP or through Verizon's wireless network, the quality was the same. What I have found that I really like about using Skype For Business in general is the portability, for instance taking the calls on any PC or device with the Skype for Business Application being installed. During part of my testing I was able to test at multiple locations; home via a laptop, work via a desktop, on the road via both the laptop and the mobile client. Throughout all those tests the connections were solid, but more importantly, it was independent of the connection back at the main office,. Where if this was an on premise solution would be dependent on the connection and equipment to which the server was attached too. One of my overall positive points regarding the cloud in general, is that in most situations the IT Staff that is maintaining and caring for the cloud service is far greater then the internal staff. Despite what any IT Pro may want to think of themselves and there knowledge the major cloud providers have hundreds and thousands of people at the ready in case of an outage. That's not to say that those of us that are internal IT Staff to a business are not more then qualified, it is just meant to illustrate that there is power in numbers. In this scenario a similar thing could be said, regarding the amount of bandwidth, and the quality of connections that Microsoft has in the Azure cloud is far greater then most if not all other business'. Point being, is that there are multiple avenues to consider bandwidth for a company, what they need coming down, what they need going up, and the capacity of remote access at any given point. Much like everything else there are usually sacrifices given to the "potential" situations vice the norm. By having your PBX in the cloud, you are eliminating the impact of remote access on top of DR bandwidth needed because that would solely be put into formula for how many devices are at the location. To me, this is much easier to justify and manage from a consideration standpoint. I touched on another point that deserves some independent consideration, and that is the Disaster Recovery Aspect. The fact that the PBX is hosted in the Microsoft Cloud, it takes away the concern of redundant systems in the companies DR plan. When you consider what could be involved in disaster recovery regarding phones you have considerations of not only just the equipment but the copper, or bandwidth needs in the co-location for DR. Most of the time those connections are just idle, and to have a comparable amount of bandwidth available in your DR site could be a quite expensive monthly cost for something that hopefully never gets used. That being the case, when considering the cost fact of using Skype for Business Cloud PBX you also have to balance that against the in house solution, plus your Disaster Recovery costs for that same service. Being an Enterprise Customer, as it's laid out now, there really isn't a decision there, the cloud is your friend. In the first 48 hours, Microsoft has confirmed and validated my excitement for Skype for Business Cloud PBX. I am anxious for the second wave of features to roll out so that I can confirm this is the solution I've been dreaming about! I can confirm that if your PBX is set to forward "Original Caller ID" vice the Global Caller ID Skype will respect the incoming caller id from the original call. Bonus! 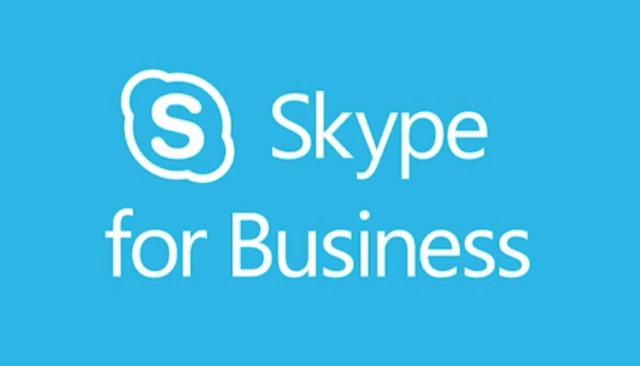 July 1st Microsoft opened up the preview for Skype for Business which allows select customers who have an E4 License or Skype for Business Plan 2 to enroll and test out the following: Skype Meeting Broadcast: 10,000 person internet meeting, with integration into Bing Pulse as well as Yammer integration. PSTN Conferencing: Allows you to create a Skype for Business meeting with a dial in number when your Skype resides in the cloud. Cloud PBX with PSTN Calling: This is the ability to make and receive traditional phone calls via Skype for Business without having to have a traditional on premise solution. I was able to get into the preview program for the last two, Broadcast Meetings is not something that applies to my current situation. I have been wanting for awhile for the Cloud PBX to come to fruition, as I find that in this day in age of the cloud, that being able to offload this functions is great from a management standpoint but even better when considering DR Solutions. Telephony is usually the hardest to place in a Disaster Recovery situation as it requires you to maintain a secondary circuit, and to a certain extent, a secondary location that is available if needed. For most small and medium size business the expense tends not to be outweigh the risk. In the case of Skype for Business PBX, it lives in the cloud and thus your disaster recovery location becomes anywhere you have a quality internet connection. Considering SMB's that could be people working from home, or multiple smaller venues via computers. From a configuration standpoint, the process was pretty painless. Upon acceptence into the preview program you receive an e-mail with some one time codes that you need to enter into your Office 365 portal. This works just like adding an additional license of any of the Office 365 products. Once you have enabled the PSTN Conferencing you will notice that your "Microsoft Bridge (preview)" will have a list of numbers from different regions. Once those numbers are available you can then go into the user properties, dial in conferencing and select the provider of Microsoft. Once you have selected Microsoft you can select from one of those numbers. This becomes the number that is added to all of the users Skype for Meeting requests. You will also notice that a Passcode is created for that user as well. This is to allow for multiple users to use that dial in conferencing number. When the one time code mentioned above is applied to your account you will then see a "Skype Voice" option on the left hand side of the Skype for Business Dashboard. Upon Clicking this, you will see phone numbers (preview) and voice users (preview). Under the phone numbers option, you will see a blue button that will allow you to add new numbers by region and area code. When you want to add a phone number to a specific user, you can select the voice users (preview) tab and find their name. If they do not have a phone number currently you can assign a number, if they do you can change\remove. At this point the next time they login to the the Skype for Business Desktop Client, or Lync 2013 client on the iPhone they will see the dial pad, and have the ability to send and receive calls through Skype.